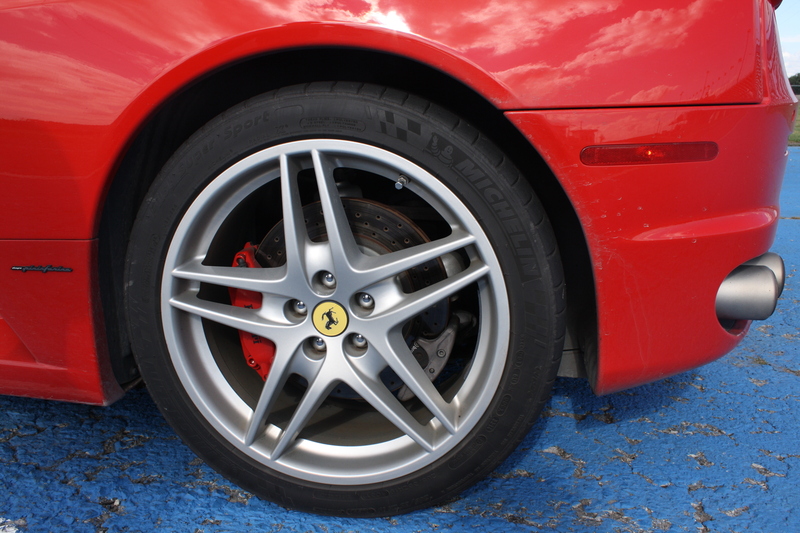 Car fanatic or not, everyone can associate a sense of grandeur with the name Ferrari. For a car fanatic though, the first drive of a Ferrari can be considered a right of passage, an ascendance to a heavenly place and a golden opportunity to act like a giant child. 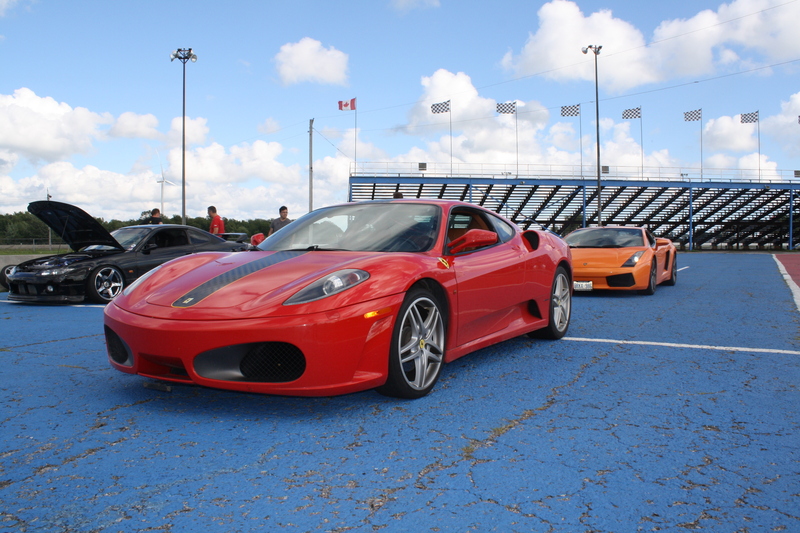 It seems a bit surreal to be starting this review series with something so special but thanks to a well placed birthday and some pretty amazing parents and grandparents, I found myself with the opportunity to review the 2006 Ferrari f430. Needless to say I knew this was going to be one of the greatest days ever. Now you have to understand a couple of things. First off, time was short. 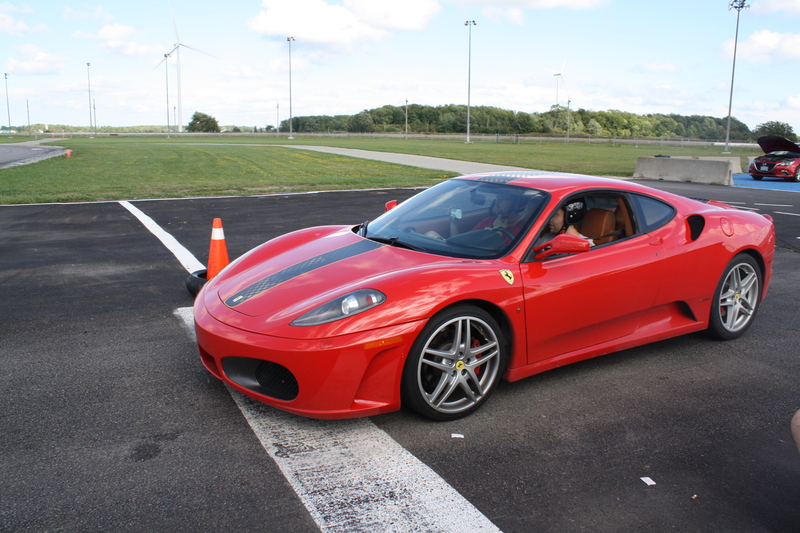 I had just two orientation laps in an SUV prior to my time slot with the car and unlike my millionaire auto journalist idols, I had never had any track time before let alone with a super car. I appreciated the advice that the racing instructor was giving during the warm up laps but if I’m honest I spent most of the time rolling back and forth clinging to the crash handles on the side of the vehicle. (Pro tip: you can’t drift a Chevy Traverse). Second point, I had never driven a car with any kind of impressive power before, I found myself trying to dismiss my cautious tendencies very quickly because carbon ceramic brakes are a wonderful thing and they work about a million times better than their cheaper alternatives. Now that my lack of experience is on full display to all of you I will begin. While the Ferrari may be 9 years old, its statistics are still nothing to laugh at. Its power comes from a 4.3 liter V-8 engine with 490 horsepower which is paired with an F1 inspired paddle gearbox. Now should you find yourself with a particularly high amount of adrenaline in your body, you can propel this vehicle to a top speed of 198 mph that is almost guaranteed to make you clench your teeth in the straight away or propel you into near earth orbit should you be mental enough to get the car airborne. A 0-60 time of 3.7 seconds felt like about half of that to me, I now appreciate heads up display as I had my eyes glued to the road ahead the entire time. I really don’t know whether this is good or not but I found myself shifting at 5000 to 6000 rpm most of the time which struck me as high but my instructors stone faced look told me I might be treating it a little too nicely. Someone let me know, I wasn’t about to hurt a car with a 6 figure price tag. 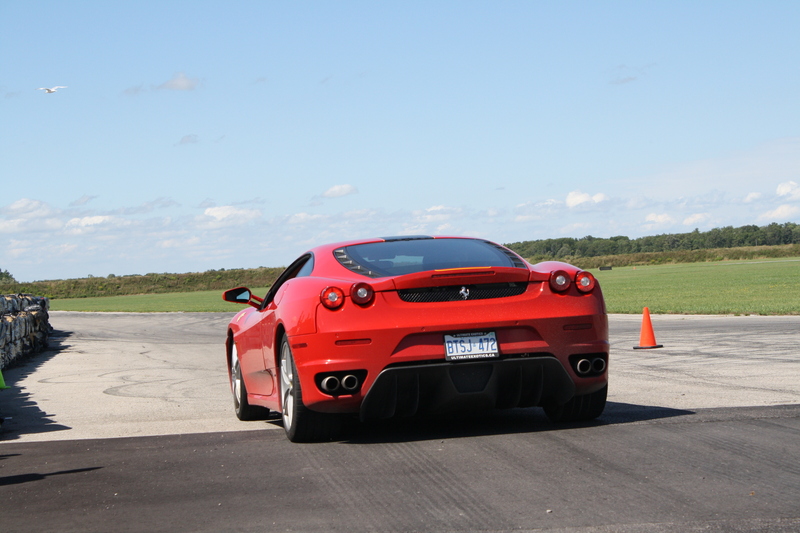 I was really interested in finally experiencing Ferrari’s characteristic light steering feel. I had always thought that a performance car should have a nice thick steering wheel with a weight to match but I’m glad that I was wrong. I went into the car telling myself that I was going to trust the steering because I had read that the car will go exactly where you plant it so long as you get past this feather light feel. What I read was spot on, as I approached the first chicane I turned the wheel left slightly and the car just glided between the cones. When entering the corners the car let you get pretty aggressive with the entry and even when your turn in was far too late it stayed planted on the line you chose. I would imagine things change quite a bit in race mode as all those “keep me alive features” get shut off and your car control skills get put on showcase. The F1 gearbox was easily one of the most outstanding parts of this car and it ensured that I was pushed well back in my seat the second I touched the throttle. The paddles had that reassuring click feeling that you look for at the auto show with your buddies and it seemed like the car was in the next gear before you could even release the paddle. I spent most of the time in 2nd and 3rd through the infield and on the straights I managed 4th and 5th. The exhaust provided me with an incredible soundtrack to my experience, it made a particularly good bellowing sound once you got on the gas in the straights. Like any good review, the good points must also be followed with small criticisms and the only thing I have to complain about was that my helmet was so damn big that it touched the top of the door frame when I moved my head the slightest bit to the left. Of course this is my own problem entirely and the jokes on all of you because it means I have a lot of smarts. A smarter looking crash helmet is definitely on the list for next time. So I find myself left wanting more. This was unlike any other experience I have ever had and I don’t think I can get enough. Its time to seriously start saving because there is no doubt in my mind that I want to one day own my own portion of Ferrari’s incredible race bread power. 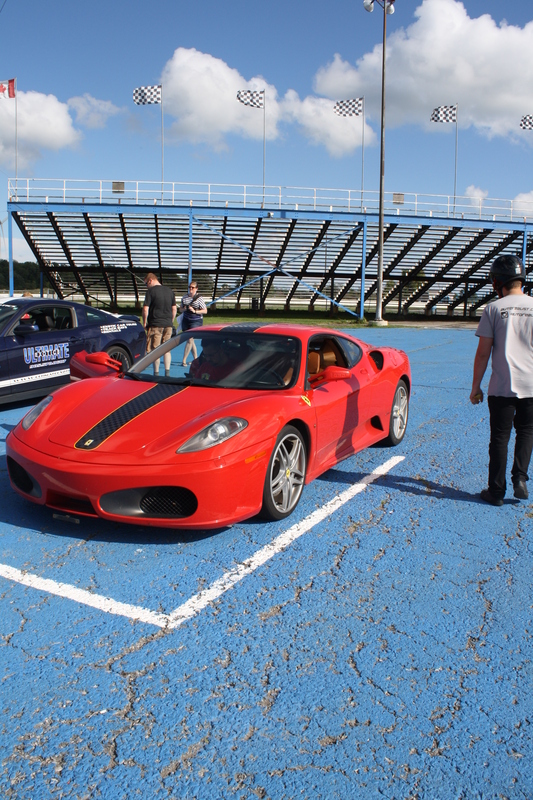 I owe all this to my fantastic parents and grandparents as well as the fantastic staff at Ultimate Exotics, find their link below and definitely check this out for yourself!